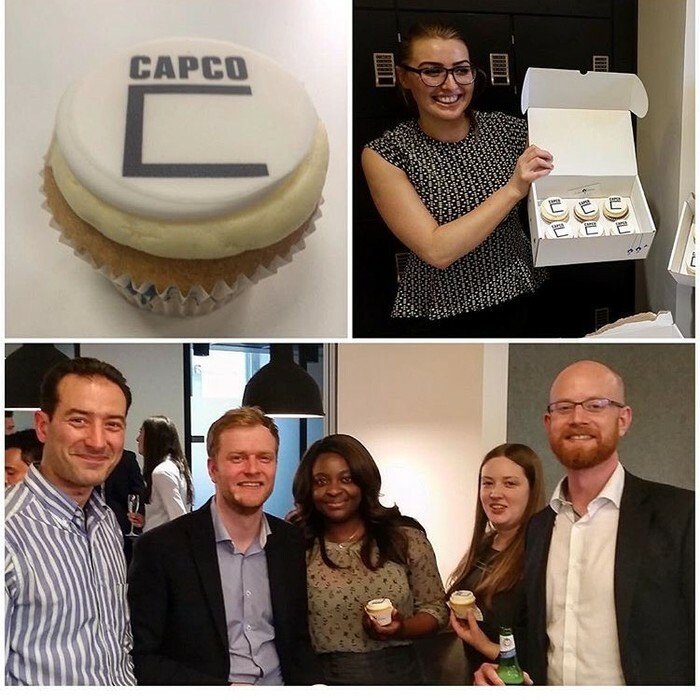 HSBC is Capco’s fastest growing account with consultants spread across numerous different divisions. One implication of this is we have a lot of dispersed knowledge that is not being fully leveraged in terms of sharing. In the past we have seen many instances of consultants working in one division with knowledge that could be very useful to consultants in another division. To help solve this problem, Capco has come up with ideas like Knugget and Mindcap sessions. However, one of the most popular forms of knowledge sharing still remains brown bag sessions. Brown bag sessions are a time for consultants from various different divisions to come together and learn about a particular topic. In the past we have seen brown bags on trade lifecycle, products, collateral, and so on. Brown bag sessions host a number of benefits, such as increasing knowledge in a particular area; learning about how a topic could potentially be impacting your project; and meeting colleagues from different areas of the bank. So for anyone that thinks they are learning about something the rest of us could benefit from, please get in touch with Owain Knights about setting up a brown bag session. Following on from the success of the pub quiz in London, this townhall will have a more information, feedback and social focus as well as incorporating those based out of the Edinburgh office. If there are any specifics that you would like covered during this event, please get in touch with george.murphy@capco.com. This is where the vision to rethink the way Global Banking manage Desk Instruction Manuals (DIMs - that’s SOPs to you and me) was born. The initial Capco project team; the ‘Terrific Trio’ of Omair Taraq, Jason Eden and Shrivas Nayar were faced with an almighty challenge...370-odd inconsistent, mismanaged and out-of date DIMs that at the time were being used across 49 global sites. As we know with Knugget, ‘Knowledge is King’ and it’s important to ensure policies and procedures for staff exist are clearly outlined and up-to-date. To make the vision a reality we defined a framework which addresses the issues found across the DIM landscape and that will provide staff, globally, the information they need to complete their jobs, whilst providing a set of principles to simply manage DIM change. Working with the added challenge that we're now just a dynamic duo, we're exploring the potential of using a document management/authoring platform and looking to help define globally applicable DIM content. Where can we grow you ask? Good question! Our client is the Global Lead for Conduct Risk in Global Banking and supporting him with his Conduct Risk agenda will be the way for us to grow. For any questions please contact Omair Taraq or Shrivas Nayar. The 11th May saw the official opening of the Capco Northern Office following months of refurbishment of the old office. 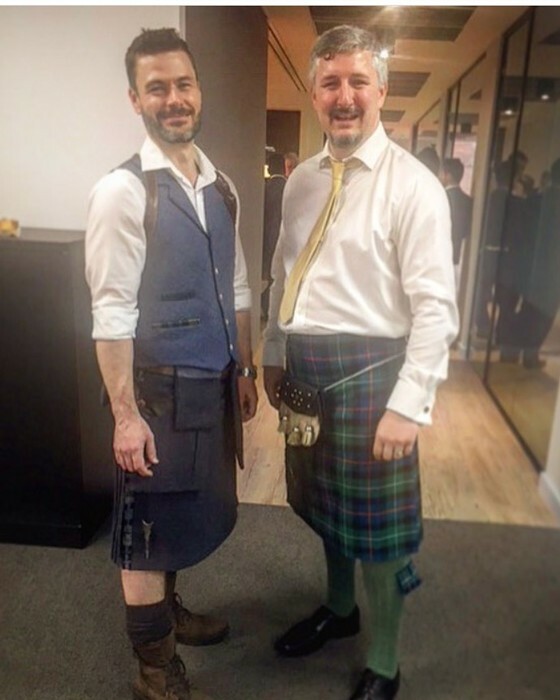 I think everyone who has visited the office would agree it was in need of modernisation and the new office certainly has a more Capco/GES feel to it whilst maintaining our Scottish identity. 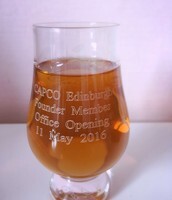 In true Capco style the occasion was marked with a party. 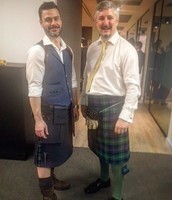 The champagne flowed as both the Northern Office space and the Northern Office Practice were launched, with a number of the UK Senior Management team in attendance. 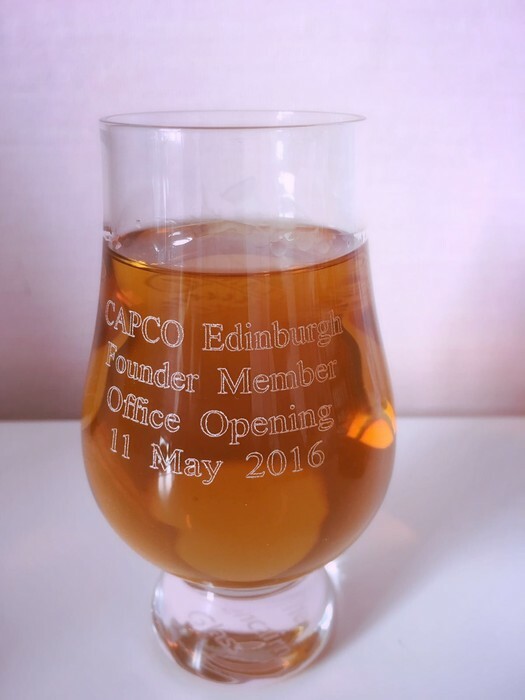 To commemorate the launch, we were each given an engraved Capco whisky glass with the launch date of the office. The real success within Health and Wellbeing this month has been the free fruit initiative. As part of the Health and Wellbeing Team's emphasis on a healthy lifestyle, free fruit has been made available to all Capco permanent staff. Such has been the demand that it's gone from being offered once a week to twice a week. To recap on the e-mails already sent out, Vas Nayar can be found in the Level 15 cafe of 8CS between 12.30-1.30pm every Tuesday and Thursday handing out free fruit. If the times are inconvenient then you can always talk to Vas to see if you can collect it at a more suitable time. Thanks Vas for putting in the effort on this. Now a call for help. If anyone is able to assist with this initiative, or on a more general level wants to get involved in the world of Health and Wellbeing, please don't hesitate to get in contact either with Vas, Ivon Evlogieva or any other member of your H&W team for more information or with any ideas for events or activities. Starting on the 15th June, John Wisner will be hosting fortnightly open sessions (max 8 people) at HSBC. Bring along BA issues that you would like help with or learn from issues your colleagues have come across. More details to follow, so keep an eye on your email and the Capco@HSBC CiT page. A follow on to 'An Introduction to Business Analysis', Verse 1 is the first part of the second module. Delegates will be taken through areas of the business analysis process, learning about and practising techniques along the way. The Target Operating Model training will provide participants with key understanding of target operating model projects, including covering the key components of a TOM project, examples of deliverables, lessons learnt from SMEs on other TOM engagements, and provide a series of exercises that will enable participants to put theory into practice. This workshop aims to give new and existing Coaches the capability and confidence needed when developing their protege's performance in their work roles and career development. This highly interactive workshop will give you the chance to really get behind your message by helping you be more authentic, bold, clear and captivating as a powerful Leader at Capco that Clients will want to do business with. This course aims to provide participants with an overview on the do's and don'ts of interviewing candidates and understanding local legal requirements to allow them to conduct interviews on behalf of Capco. This case-study based course is for people joining Capco with less than 3 years prior consulting experience to help you to put into practice a number of consulting skills using a simulated client environment.